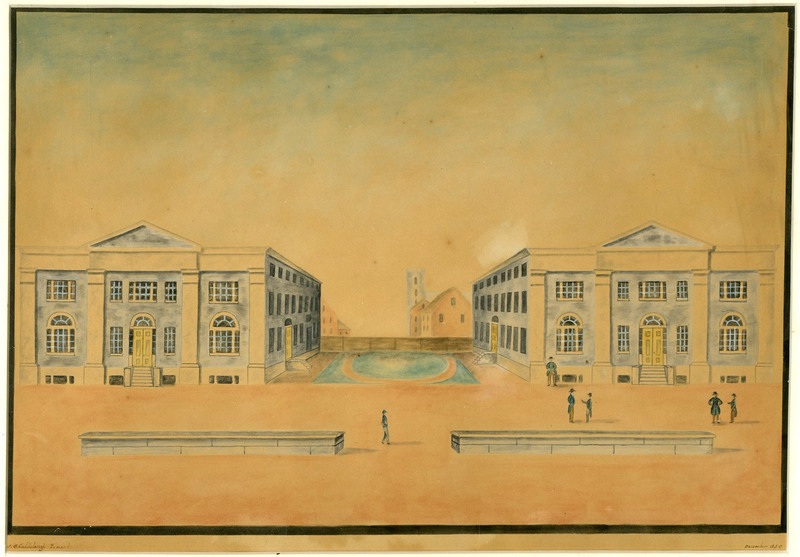 The University of Pennsylvania School of Medicine was the first and only medical school in the thirteen American colonies when, in the fall of 1765, students enrolled for “anatomical lectures” and a course on “the theory and practice of physik.” By organizing a medical faculty separate and distinct from the collegiate faculty, Penn’s trustees effectively created the first university in North America, though the corporate name continued as the College of Philadelphia until 1779. 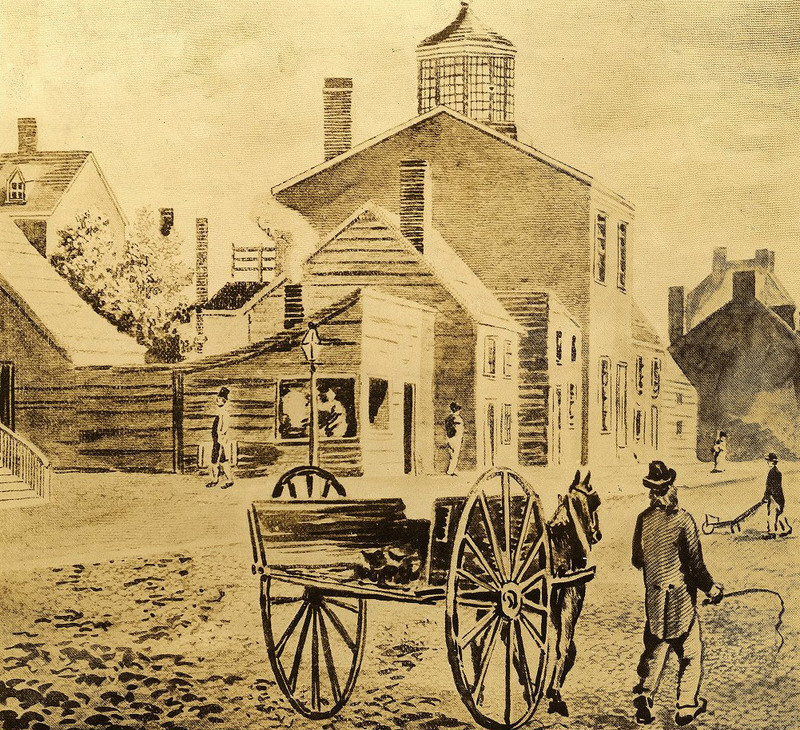 The founder of the School of Medicine was a young Philadelphia physician, John Morgan. The early faculty, including Morgan, had earned medical degrees at the University of Edinburgh and supplemented Edinburgh’s courses with further study in London. London offered advanced training in anatomy in private schools owned by men who had become famous in their field. Clinical practice was taught by eminent preceptors in the great city hospitals. Due to their training abroad, the University’s founding faculty introduced two important elements in American medical education. With the University of Edinburgh as their model, they chose to build their medical school within an institution of higher learning. With the background of their hospital experience in London, they chose to emphasize the need to supplement medical lectures with bedside teaching, which for some time had been provided to apprentice physicians by practitioners at the Pennsylvania Hospital. Founded by Benjamin Franklin, this hospital was located within a few blocks of the College. For more than a century, the pattern of medical education established in 1765 remained relatively unchanged. Not all medical schools, it is true, followed Pennsylvania’s lead in forming academic ties; in fact, the growth of non-academic proprietary schools became something of a scandal. It is true also that bedside teaching under a preceptor was a traditional practice rather than a requirement. But, though often violated, the standards and procedures introduced by Pennsylania remained the guiding force in medical education throughout most of the nineteenth century. During this period, Pennsylvania enjoyed an unchallenged pre-eminence as the leading institution of medical education on the continent. 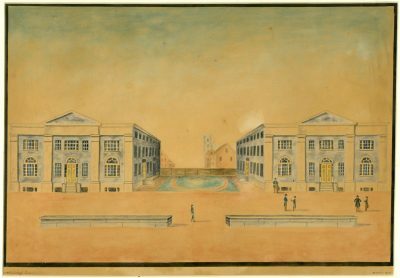 The School of Medicine’s faculty was famous throughout the nation — Benjamin Rush in medicine, Philip Syng Physick in surgery, Robert Hare in chemistry, and around the mid-century, William Pepper in medicine and Joseph Leidy in anatomy. In 1847, when a group of physicians organized the American Medical Association, they acted to insure the new organization’s prestige by naming the Professor of Medicine at Pennsylvania, Nathaniel Chapman, as first president. Toward the end of the nineteenth century, changes in American medical education were stimulated by the scientific activities in European medical centers. 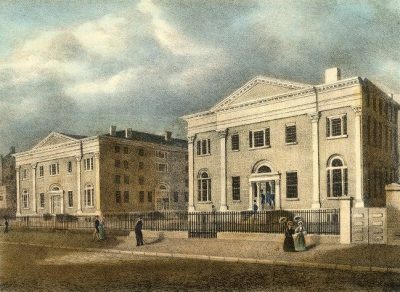 Although the work of such men as Pasteur, Koch, and Ehrlich inaugurated the era of modern medicine, the medical schools in America were still largely tied to eighteenth-century teaching methods. The new era called for the introduction of full-time teachers and investigators in the developing sciences of bacteriology, biochemistry, pharmacology, and others. It called for a program of study in scientific medicine which required additional years of training and higher academic standard for admission and graduation. For a brief period in the 1870s and 1880s, William Osler — later of Johns Hopkins fame — established on the campus an exciting investigative approach to medicine. He left behind him a small group of Pennsylvania disciplines who formed the nucleus of those faculty pressing for needed reform. 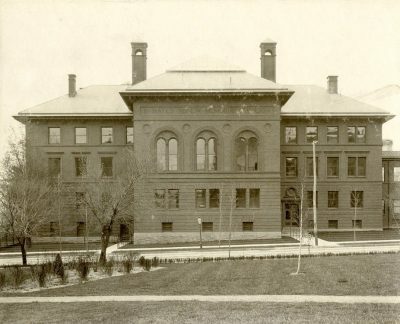 In the 1870s, when the University of Pennsylvania moved from downtown Philadelphia to its present campus west of the Schuylkill River, the medical faculty persuaded the trustees to build a teaching hospital–one to be owned by the University and staffed by the medical faculty. 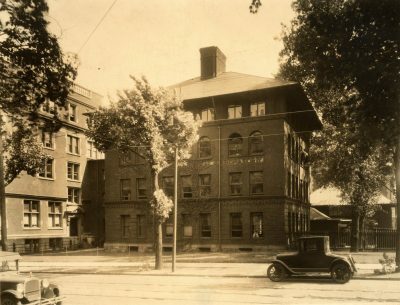 The Hospital of the University of Pennsylvania was the first such teaching Hospital built for a medical school. Some decades later, when general reforms in American medical schools were adopted following the Flexner Report of 1910, a bedside teaching program specifically conducted by appointed clinical faculty became accepted as one of the necessary ingredients of modern medical education. During the late nineteenth and early twentieth centuries, the University of Pennsylvania School of Medicine was one of the earliest to encourage the development of emerging medical specialties — neurosurgery, opthalmology, dermatology, and radiology. Medical educators have long looked back with satisfaction on the reforms stemming from the Flexner Report. And indeed these reforms were so considerable that between 1910 and 1940 American medicine had caught up with European medicine and was making impressive contributions in the biomedical sciences. The University contributed its share, since this medical school is among the small group of institutions whose alumni provide the greatest number of investigators and teachers in academic medicine. Probably the most important figure in the ultimate development of the University as a center of medical science was Alfred Newton Richards. His leadership was strongly felt during his long years as chairman of the Department of Pharmacology, 1910 to 1939. In 1982 there were several important modifications to the curriculum designed to strengthen and integrate the teaching of basic sciences, to provide a more comprehensive introduction to clinical medicine during the first year and a half, and to establish an organ-systems approach to the bridging curriculum between the basic and clinical sciences. With these changes in the curriculum and significant student participation in many committees concerned with curriculum, evaluation, and governance of the School of Medicine, the School of Medicine is a vigorous, exciting place. New ideas are enthusiastically received, debated, and implemented without discarding valuable concepts and ideas handed down by generations of medical students and faculty members who have preceded those presently at the school.